Calling to all Marine Parade residents! 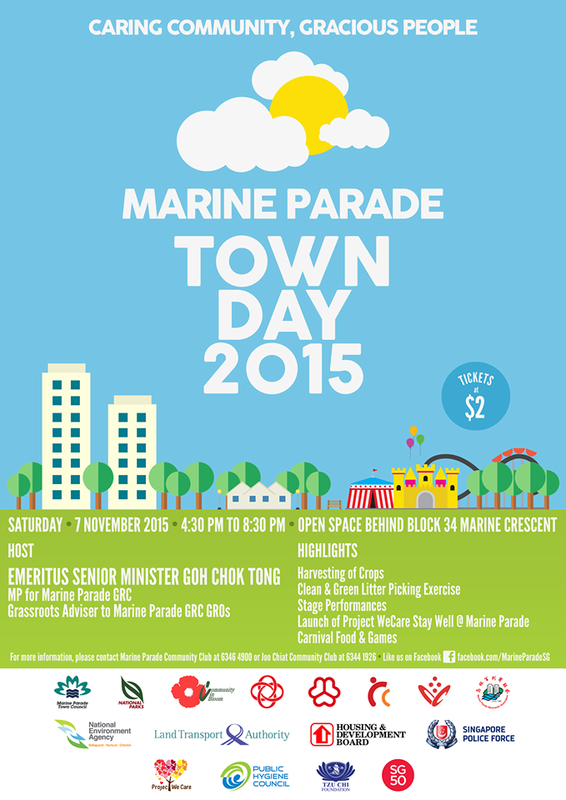 Join us for a fun-filled day of games, food and performances at the Marine Parade Town Day 2015 on 7 November 2015 (Saturday)! Please refer to the poster for more details.